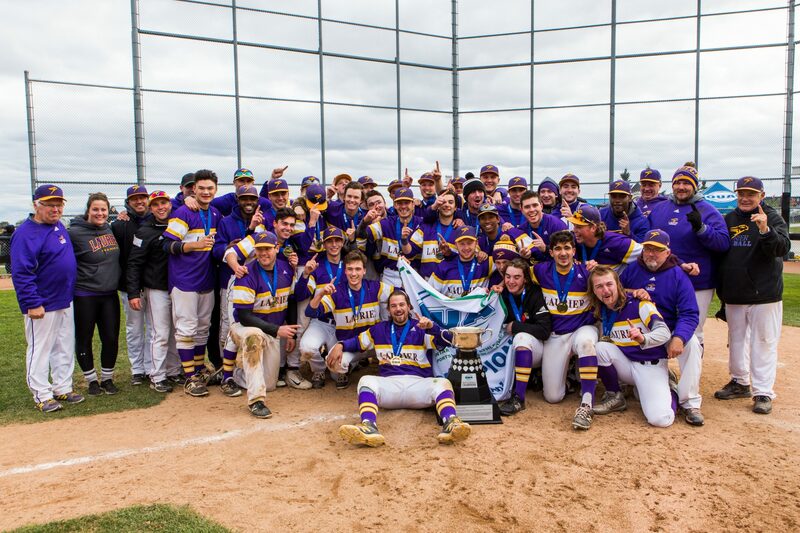 It was a fantastic 2018 for the Laurier men’s baseball team, to say the least. The Hawks captured their second OUA championship in team history after defeating the University of Toronto Varsity Blues in the gold medal game of the OUA playoffs. The OUA title capped of a phenomenal regular season for the Hawks, in which they finished with a 13-5 record as they headed into the playoffs as the number one seed. Although the Hawks were happy with their great regular season, head coach Scott Ballantyne insisted that the goal for Laurier all year long was the OUA championship. Coach Ballantyne was named the OUA Coach of the Year, and deservingly so, as he has consistently led great baseball teams during his time at Laurier. Expectations will be higher than ever for the baseball team in 2019 as they will look to capture their third OUA championship. 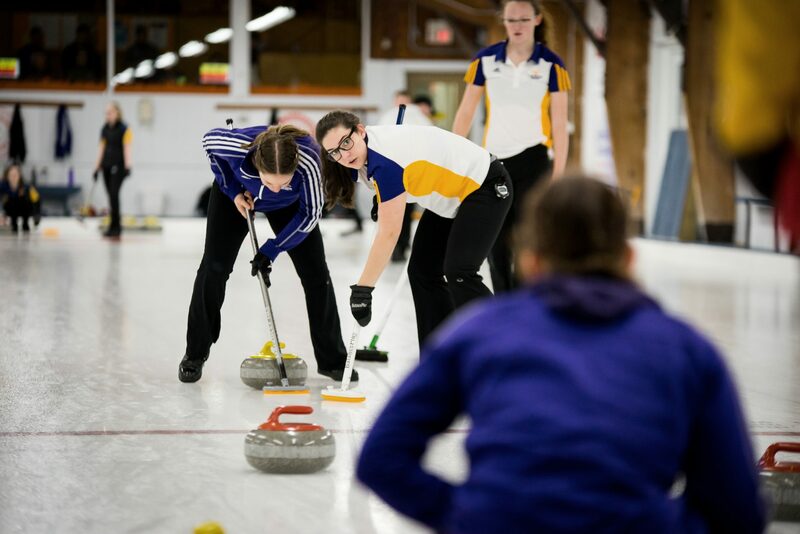 The Laurier women’s curling program has seen tons of success in recent years, and 2018 was no different. The Hawks captured their sixth OUA championship in eight years as they defeated the Queen’s Gaels in the OUA playoffs gold medal game. The Hawks’ playoff run as a whole was extremely impressive, as they managed to knock defending U-Sports champions, the Laurentian Voyageurs in the quarter finals followed up by eliminating the U-Sports silver medalists, the Lakehead Thunderwolves. Their difficult playoff run proved that the Hawks were clearly the best team in Ontario. The Hawks national championship run didn’t go quite as well, but it was still an outstanding 2018 for the team thanks to their success in the OUA playoffs. The 2019 curling season gets under way on Jan. 19 with the Brock Invitational and the OUA playoffs start in February. 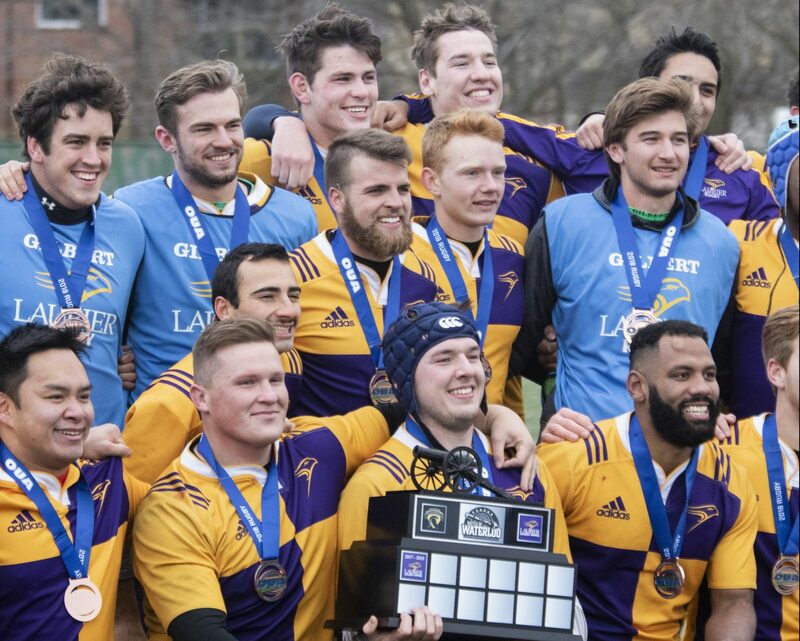 After a successful 2017 season, the Laurier men’s rugby team continued to rewrite the history books as they captured their first medal in team history. The Hawks finished the regular season with a 6-2 record, which put them in a position to host the first round of the OUA playoffs. The team had a chance at revenge against McMaster in the first round, as the Marauders defeated the Hawks in the bronze medal game last year. Laurier showed up in a big way this time around, winning by a final score of 31-13. Unfortunately, the Hawks’ playoff run ended in the next round at the hands of the Guelph Gryphons, but this meant that they would still compete for the bronze medal for a second straight year. This time, the Hawks faced off against the Warriors in a huge “Battle of Waterloo” and came out on top with a final score of 17-6. This team continues to make history year after year, and it will be interesting to see if they can manage to break year another record in 2019. 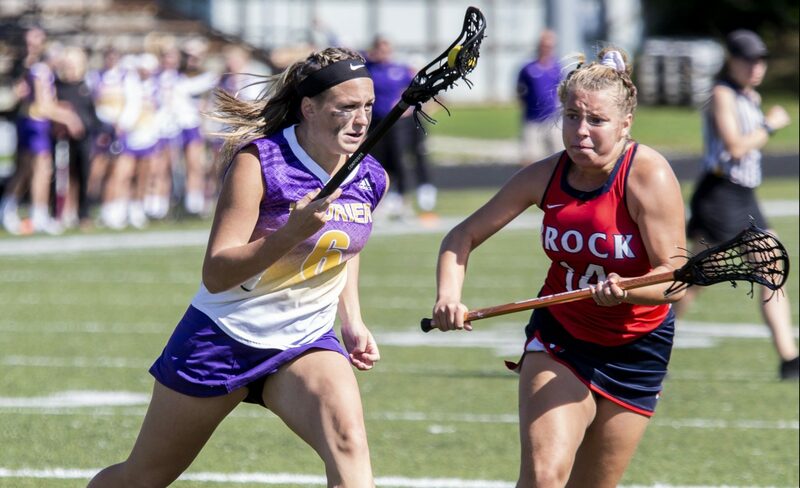 The Laurier women’s lacrosse team earned their best finish in eight years by winning silver in 2018 OUA playoffs. The Hawks received stellar performances throughout the season from Rose Williams, Kaitlyn Massey and Taylor Miller, amongst others, and that was the biggest reason behind their tremendous success. The Hawks finished the regular season with a strong 11-2 record, with their only losses coming against Western and Queen’s. After defeating Brock and Trent in the first two rounds of the playoffs, the purple and gold had to face the Queen’s Gaels in an intense rematch. Unfortunately, the Gaels proved to be too much for the Hawks and would win by a final score off 11-6. Nonetheless, it was still a great 2018 for the team and it was a seasons that the entire team should be proud of. 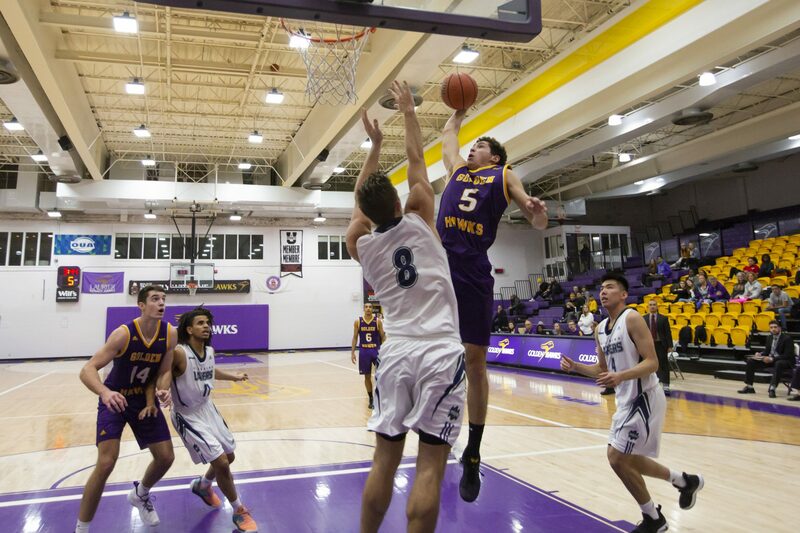 The Laurier men’s basketball team was recently ranked inside of the top 10 U-Sports team rankings. The team is beginning to garner a lot of respect, and with good reason. Under head coach Justin Serresse, the Hawks have shown consistent growth and improvement. The team has found ways to focus on the little things and it is easy to tell that the team’s chemistry is through the roof. Laurier finished the 2017-18 regular season with an overall record of 12-12, and they made the second round of the OUA playoffs where they ended up losing to the Brock Badgers. The Hawks record this season so far is 7-3 as they head in to the winter break. Second-year guard Ali Sow has been a big bright spot for the Hawks as he recently broke the modern day Laurier single-game scoring record with 44 points against Nippising.